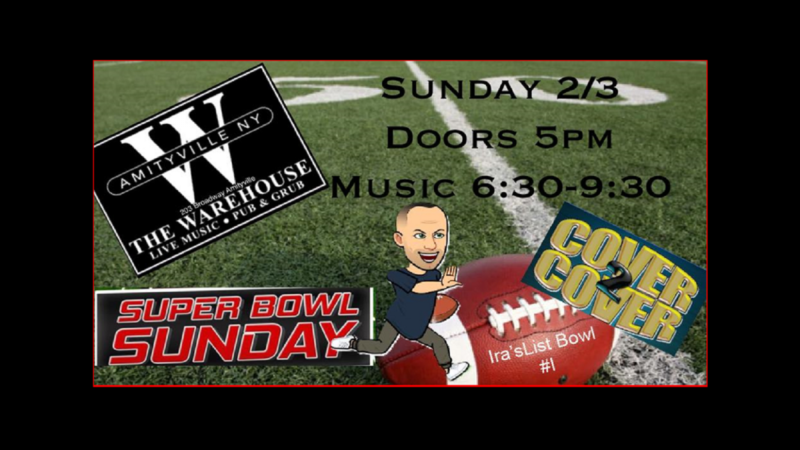 Ira’sList and The Warehouse are pleased to host our first Super Bowl Event Sunday 2/3. 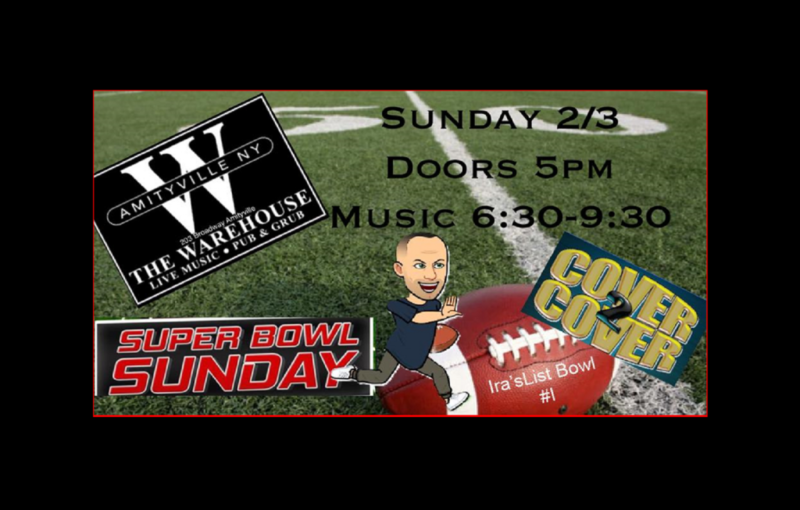 This will be a Live Music Sunday Funday with music by Cover2Cover making their debut at The All New Warehouse, Long Island’s newest Live Music Venue. Music from 6:30-10 pm and the band will stop at the Halftime show to broadcast it live on the many tv screens! The entire game will also be shown on the screens so you won’t miss any of the game while you dance to the sounds of Cover2Cover. This will be a one of a kind Super Bowl Sunday! Don’t miss it! $5 reduced cover for Sunday Funday. Doors open 5 pm for dinner or appetizers. Table reservations recommended 631 238-1820.